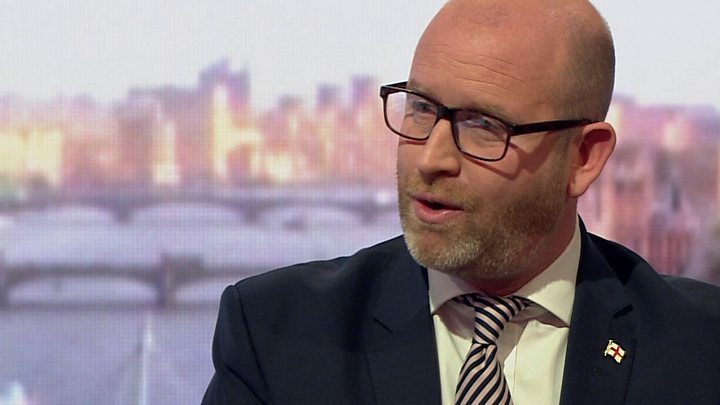 UKIP's foreign affairs spokesman has resigned his post in protest at leader Paul Nuttall's plans to ban the burka. Mr Nuttall sparked controversy over his proposals to outlaw the full-face veil - as well as forcing girls at risk of female genital mutilation (FGM) to face regular medical checks. Announcing his decision to quit, West Midlands MEP James Carver described the policies as "misguided". But UKIP deputy leader Peter Whittle defended the policies. "The burka is not something in the Koran - it's not specified by the Koran - it's a cultural practice. FGM is a cultural practice," he said. Mr Nuttall's so-called integration strategy has already been panned by former UKIP donor Arron Banks, who accused him of going to "war" with Muslim communities. Mr Carver said he "strongly disagreed" with the policies. "I would be the first to condemn a ban on wearing a crucifix as an infringement of liberty," he said. "No-one has the right to dictate what people should wear. "When facial identification is necessary, such as at passport controls, or in a bank, then it is perfectly reasonable to order the removal of veils - as is the practice - but in a free and liberal society, people have a right to their religious beliefs and to dress as they see fit." Mr Carver said he stepped down as UKIP's foreign and Commonwealth affairs spokesman "with deep regret", but he added: "I feel this policy undermines my desire to represent all communities within the West Midlands, including the many British Muslims, who I know from first hand experience, voted to leave the EU in last year's referendum. "I have consistently spoken of my desire for a truly global perspective for the United Kingdom, outside of the European Union, and I see this policy as being incompatible with that aim." But Mr Whittle told BBC Radio 4's Today programme UKIP had discussed these issues for many years, including banning face coverings, which the party believe are a "barrier to integration in our society". However the Muslim Council of Britain's secretary general Harun Khan condemned the move, and is due to say at a Muslim leadership dinner: "It is deeply regrettable that the UK Independence Party is singling out Muslims in the most negative terms. "This is not leadership - and it is certainly not becoming of a party seeking to represent British people. "Together with Britons, Muslims will be looking for true leadership that unites our country during this time of uncertain transition and seek to represent all British people, and certainly not scapegoat some. Bigots must not be allowed to set the terms of the debate." 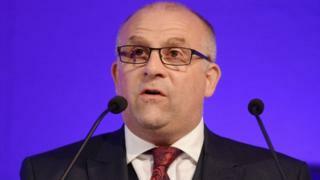 Meanwhile, Mr Whittle said Mr Nuttall "probably will" stand in the 8 June general election, after the leader sidestepped the question at an event on Monday.